Sometimes we ask too much from Barca Players! With the hard fought 3-2 victory at the El Madrigal we have kept our slender hope of retaining the La Liga title still alive. The game was bit messy withy us struggling to put the ball past Asenjo. Some would say we were lucky as our first two goals came from own goals. But I would say those came from situation and relentless pressure we created. The match was an emotional affair, but that didn't stop some crazy racist Villareal fan from throwing a banana at Alves. Alves reaction to that has been quite classy and it has already gone viral with #weareallmonkeys stealing the twitter storm. But what worries me more is some of the criticism on the team for last night's performance. It wasn't a classy Barca performance by any means but they won. They won it for one man whom they loved, who was a mentor to many and a friend to others. The sheer courage they that these players showed while taking the field to play, let alone win it should be appreciated without any questions being asked. Two own goals and one Lionel Messi goal completed another come-back from behind victory for Barca, this time at El Madrigal, Villareal. 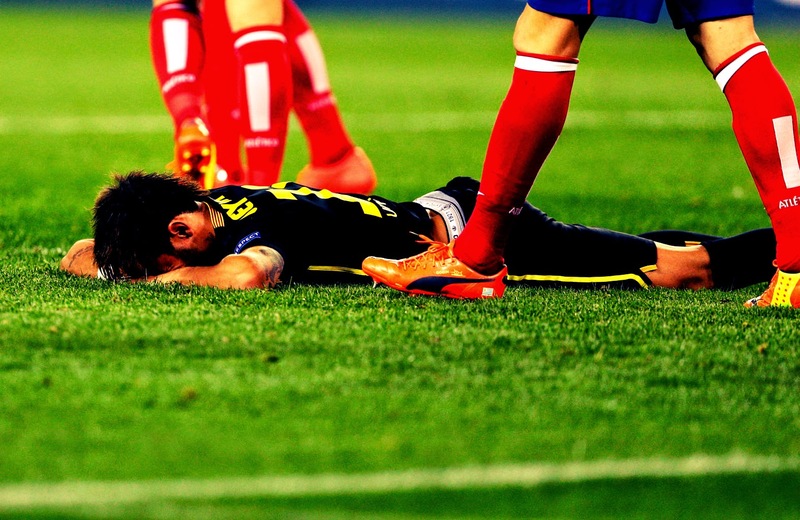 After going down 2-0, Barca showed immense courage to bounce back. It can be argued that the performance was bit crappy at times, but one should not discount the mental stat of our players. After losing a guy who was with them for the most of last year, and who has been a mentor to many; it took immense courage for players to turn up today. One should not forget that Tito was not only the manager last season, he has been with this set of boys for most of their playing time. 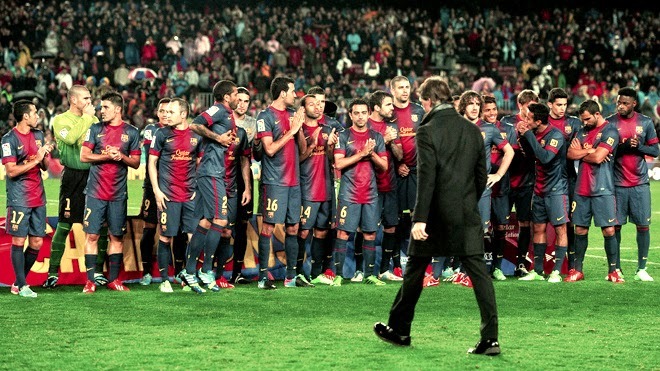 Tributes have been flowing from all directions to the Club following the tragic death of the ex-Barca manager. 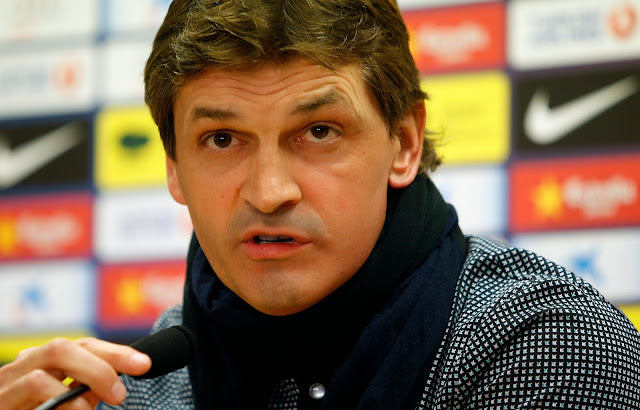 Every club in Europe and League has expressed their sorrow at the death of Tito Vilanova. The death of our former manager came as a huge shock as we pretyy much believed he was past his worst health issues. How wrong we were? Behind all the brave face, he put up to lift our spirits, he was fighting his biggest battle, sadly to which he lost his life. He is survived by his wife Montse Chaure and two children, Carlota and Adrià. Their loss has been irreplacable and let's all pray for God to give them the strength to overcome this loss. 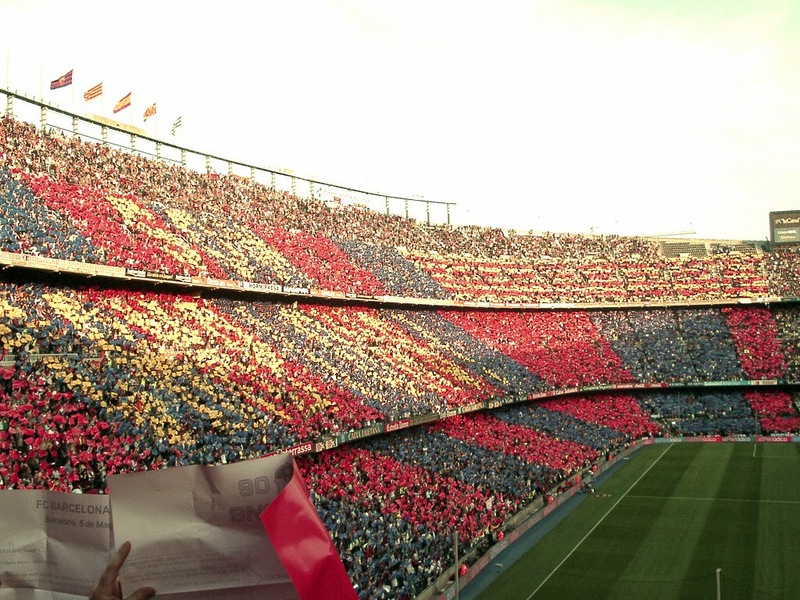 Barca fans received the tragic news of Tito Vilanova's death today. He was admitted to hospital yesterday after becoming seriously ill and remained extremely critical. 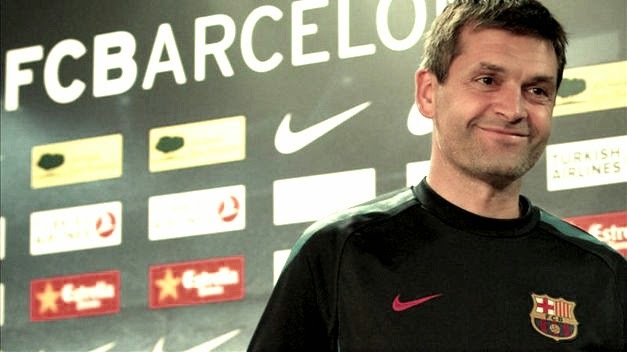 Today afternoon he finally succumbed to throat cancer, a disease which has forced him to retire from managing Barca. Let's all remember him in our prayers. 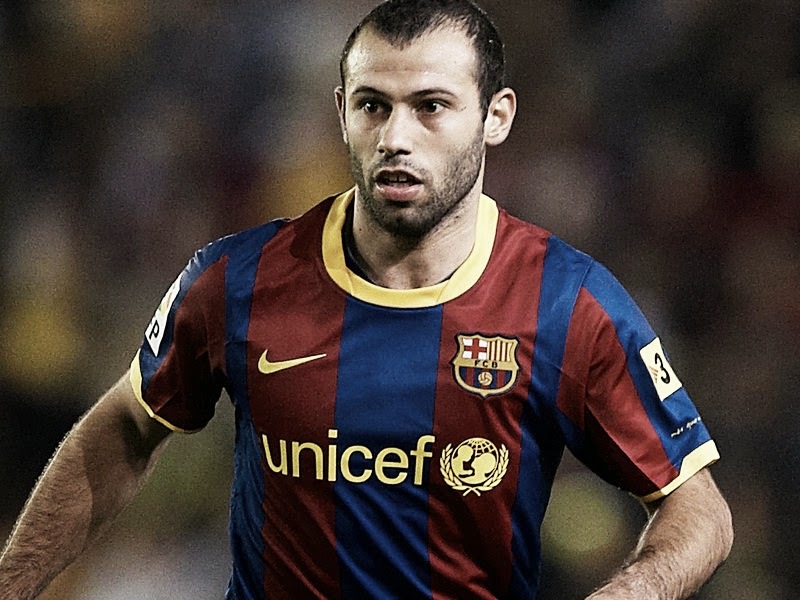 Will Barca Sell Mascherano this Summer? With the temporary lifting of transfer ban imposed on Barca, there are too much speculation going on. The latest we have heard is the potential sale of Javier Mascherano. A few months ago all the fans could be up in arms against such a move. But at the current moment there sure will be conflicting ideas on their minds about this possibility. In any case this all will happen if our management does the stuff they are supposed to do - sign quality central defenders. Going by their track record, we could expect them to make a lot of noise about the possibility of signing a number of players, naming them openly, by doing so alerting other clubs to that possibility and eventually getting prized out of the market. They are good enough to make excuses about this and excellent in selling to the members. Remember last summer transfer window? Dani Alves future at Barca has been under constant speculation for the past one year. Some expect the club to cash in on a player who was the main stay to Barca's success but also is approaching 30. There is a school of thought that if we are going to make money out of Alves, then that moment would be right now. Barca fans are totally split on Alves. His form may have been bit patchy lately and his crosses has failed to reach the targets. But they do realize that his defensive fragility is due to the fact that he is getting stretched on the right with make shift central defenders alongside him. The management may not mid cash in on the players especially his open outburst against Rosell for selling Abidal. Whatever the case, a final decision will be made by the player and the club after the World Cup. FC Barcelona Transfer News - Barca reached Agreement with Mats Hummels? Latest reports emerging in Catalan media outlets suggest Barca reaching an agreement with Mats Hummels. The Borussia Dortmund defender, Hummels has been in Barca's radar for sometime. 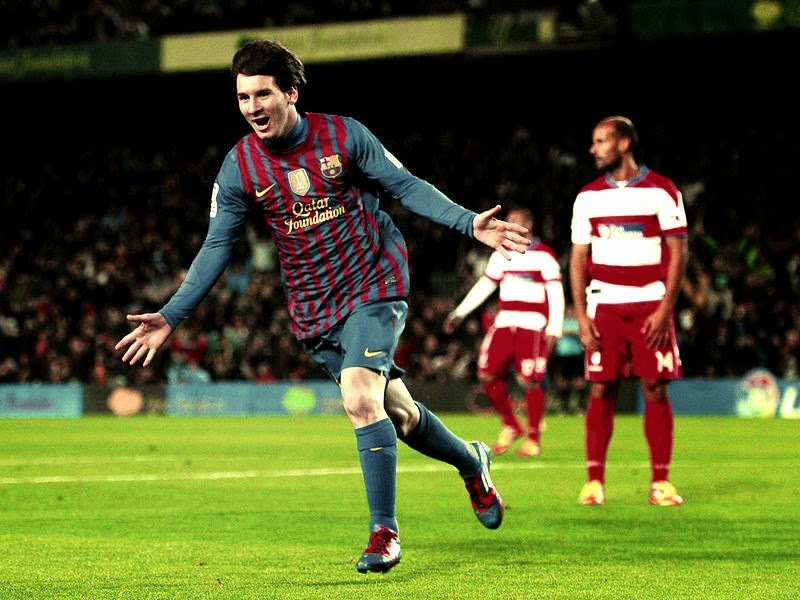 He has constantly emerged as the preferred choice for Barca fans in every poll. His lack of pace did worry some, but there is no doubt about his ability. It's not only Barca who has been after the highly rated defender. Both Manchester City and Juventus were looking at the option to sign him. Barca's transfer ban had put City in the prime spot. Now with ban lifted temporarily, everyone expect Barca to sign the Hummels. Messi vs Neymar - Why Cruyff is the only one Smiling? Every time one watched Messi playing against Bilbao last week, one would left to wonder whether he prefer playing alongside Pedro rather than Neymar. It's not the first time it has happened this season. There were pundits who pointed out why Pedro needs to come ahead of Neymar, especially in order to get the best out of Messi. I myself believed that it's not the presence of Neymar; it's the combination of Neymar and Cesc which is working against Barca and also Messi. But lately it has become very clear that to make these two great players work together will take some effort, something which is looking out of Martino's reach. Let's be honest, they have played decently alongside each other. Till last month they were doing well; maybe not in the devastating way we have expected when Neymar signing was announced. But still they were better together. But recently it was a total disaster. 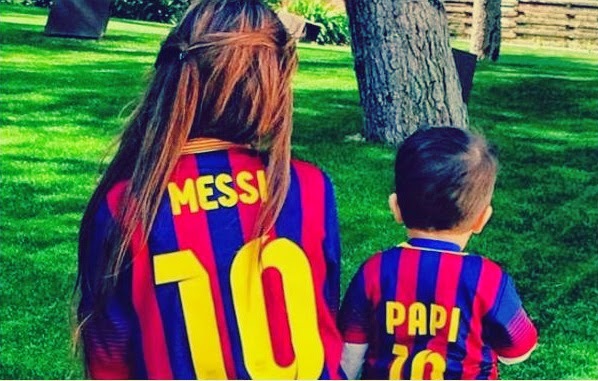 This cute little photo posted by Antonella Messi on her instagram page has gone viral across footballing world. The picture has both Thiago and Antonella wearing Barcelona shirts with Messi's No.10 shirt. One has to admit that the personalized shirt on Thiago Messi with name "Papi" looks so adorable. Regardless of the club treating him shabbly, Lionel Andres Messsi can always count on the support of these two people; in the end that should be the only thing which matters to him. 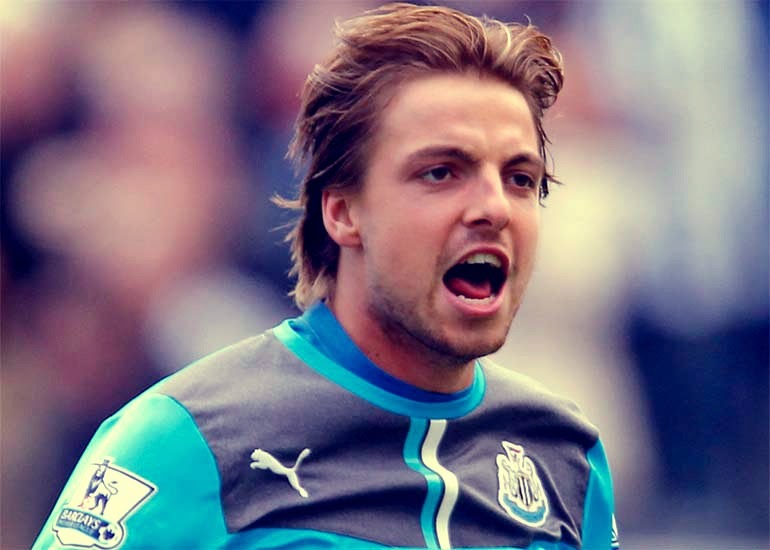 Barcelona is reported to have shown interest in Newcastle United keeper Tim Krul as a potential replacement for Pinto. It is expected that Barca would not offer Pinto an extension and he will play his last match against Atletico in Camp Nou. Signing Krul could be tricky as there are a number of clubs who are behind him. Juventus is learned to be watching the keeper closely. If this turns out to be true then we will have a complete overhaul in the goal with Valdes and Pinto leaving. La Masia product and Barca B goal keeper, Jordi Masip is already expected to be promoted to first team next season. FIFA Suspends Barca Transfer Ban - Will the Club Act Finally? Futbol Club Barcelona's appeal against the Transfer ban imposed by FIFA has been accepted by the footballing body. FIFA also have released the statement describing that they have suspended the sentence as they didn't see the appeal process(both at FIFA and CAS) to be completed before the commencement of the next tarnsfer and registration window. This definitely is very good news for Barca fans as we would finally be able to sign replacements of first team players who are leaving and reinforce positions which are stretched at the moment. We were pretty worried of the propsepect of Pinto being the first choice keeper once Valdes leave this summer. 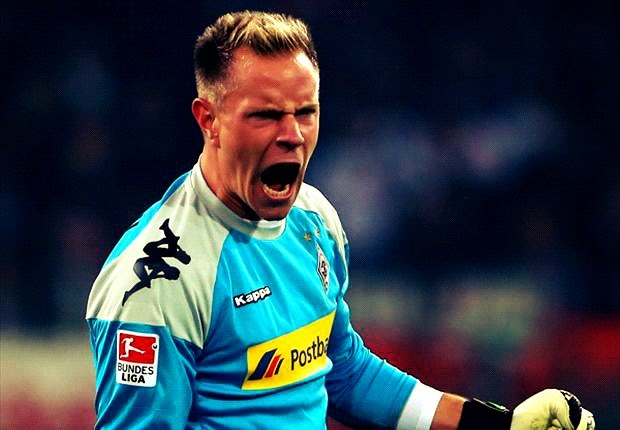 Not to worry anymore as Barca would be able to complete their signing of Ter Stegen from Germany. Not only that Barca will be able to complete the signing of Alen Halilovic. We were looking at the possibility of this Croatian wonder kid being stolen under our nose. Not to be anymore. With the Club President indicating recently about a massive influx of players this summer, it may be wise for some of the current squad members to look for better options. It's not that the Club would be going in for a massive overhaul, especially considering that this management has always made only noise and has fallen short on their actions. Regardless of whether the Club management gets their act together, there are a number of players who urgently needs to look at whatever options available to them. These include a number of promising youngsters. Below is the list of players who are expected to leave Camp Nou at the end of this season. Barca star players have refused to give up on their title hope. They promised to keep fighting until the end. Strange things happen in Football, not one many, many times. So I would say that Barca still have a glimmer hope of retaining their La Liga crown coming next week. But whatever small hope Barca have about La Liga could be decided at the end of next week. As of now, Atletico Madrid stands six point clear of Real Madrid(who have a game in hand) and four point clear of Barcelona. The equation is simple - if Atletico does not drop any point in the next three outings, the League title is theirs for the taking. The last match of the season will be only for crowning. But with some high profile matches coming this week, Atletico may have a chance of dropping some points, something every Barca fan is hoping for. 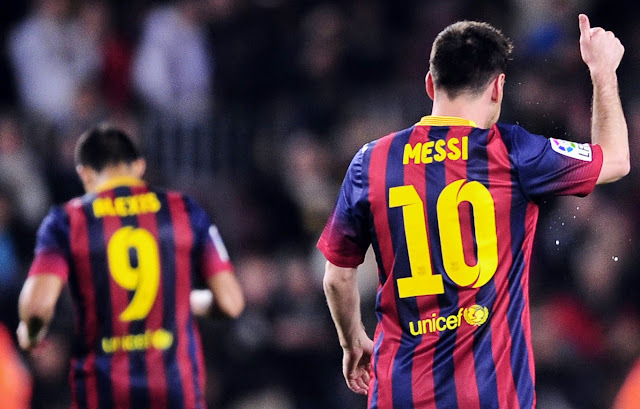 Lionel Messi and Pedro scored for Barca at the Camp Nou to break the losing streak. The La Liga may have moved out of our grips but we need to restore some pride. Barca appears to have zoomed in on the coach and player pair of Klopp and Reus as their prime target for this summer's transfer window, or at least the Catalan wants us to think so. 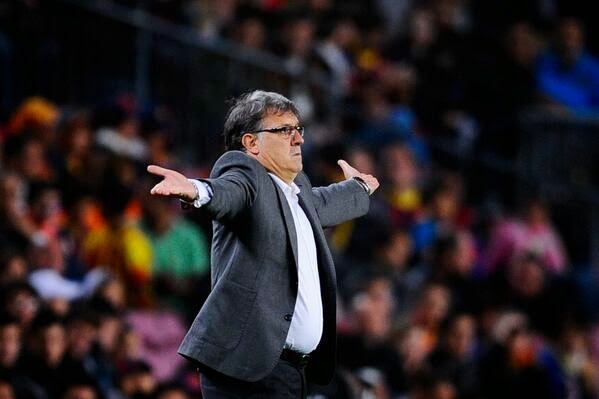 With the season suddenly taking a turn for worse, it is natural to hear clamour to replace Martino. It looks like the Catalan media have identified the current Borussia Dortmund coach as the ideal replacement for Martino. A week ago they were harping on the name of Luis Enrique and others; now they are simply forgotten. It was natural that in this Marco Reus also was added, especially with that brilliant performance against our arch-rival Real Madrid. 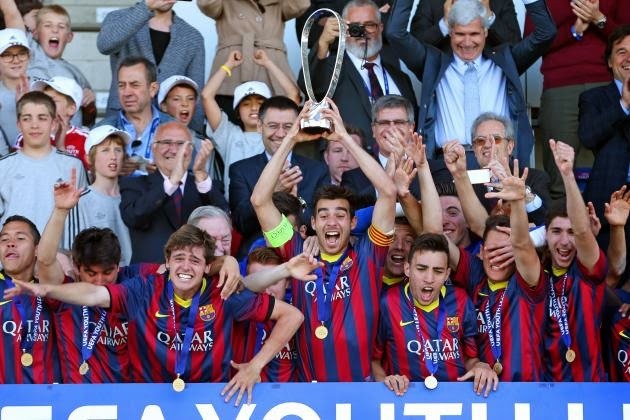 FC Barcelona boys have won this years's UEFA Youth League Cup by beating Benifica in the final 3-0. Watch the highlights below which involve a spectacular Golazo. This was that kind of night. Nothing would go in regardless of how much we tried. In any other day, this Messi free kick would have gone through, but not today. When I wrote the preview, I warned specifically about taking Granada lightly in a must win match. That precisely was what Barca did and paid heavily for that. After going down to a shock Brahimi fall Barca failed to react properly in the first half and they paid for that. Even though we threw everything at Granada in the second half, the ball wouldn't go in. With this defeat we may have conceded defeat in our La Liga title defense. Unbelievable has been this week, from challenging for three titles we have been effectively reduced to challenging for the King's Cup. 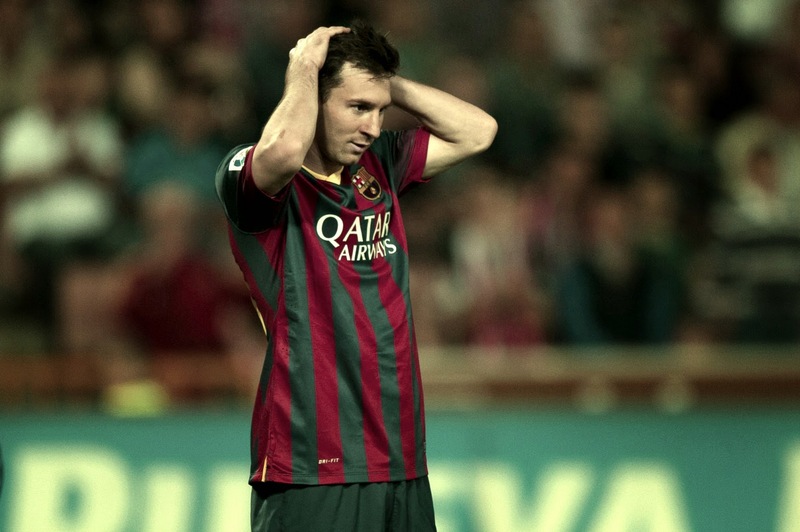 With two consecutive defeats Barca needs to react fast from preventing the season spiralling out of control. To the surprise of everyone who expected Martino to rest many of his usual starters, Martino started with many. The front three had Neymar, Messi and Pedro. The midfield had Iniesta, Cesc and Song. 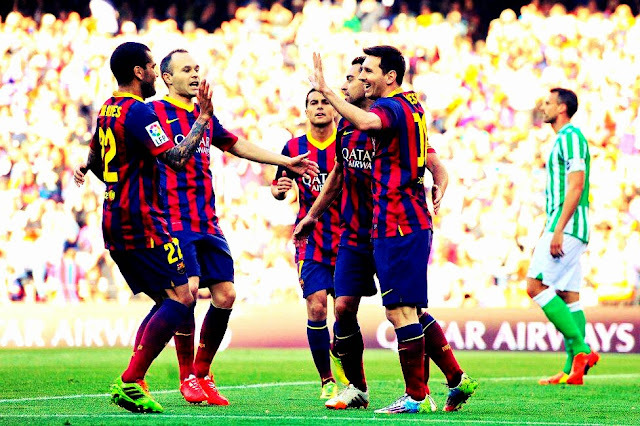 The defense had Mascherano and Busquets forming the central defense with Montoya and Adriano on the flanks. Lionel Messi's first goal against Milan in 2012-13 season's Champions League. Those who criticize him should remember how good he is when the team could give him a bit more space. Those who are interested should see Villa's positioning and the effect that has on the defense. 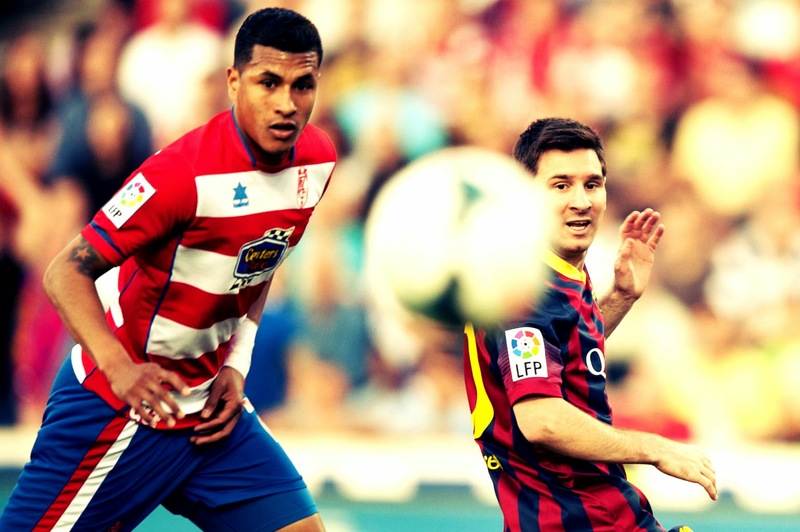 When the season's calendar was drawn, a visit to Granada was one of the least interesting fixture. Now being sandwiched between the two clash between the Capital Giants, this looks a pretty interesting fixture now. This is Barcelona's chance to recover from the disappointment of the Champions League exit at the hands of Atletico Madrid. 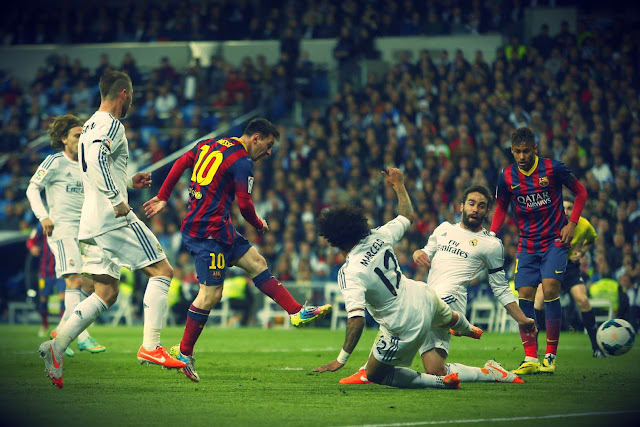 More importantly, it is the best way to prepare themselves for Wednesday's Copa Del Rey final against Real Madrid. Realistically speaking, this should be an easy away win ( Barca's Wiining odd is at 2/7 at sports betting at Betfair ). But a simple win may not do the job for Barca. We most probably would have to make a statement. A statement of intent which sends a message to the World and to our opponents, especially Real Madrid. With the Champions League exit it is time for us to concentrate on the two available trophies. That should ensure this as a successful season, but if we are not careful we may end up ruining everything. So the consolidation need to start tomorrow against Granada. PSG or City, Please Sign Messi | Barca Fans Surely don't Deserve Him! Lionel Messi is suddenly in the midst of all things Barca, not sure he would like that! There are cries in internet blogs and boards about need to sell him. Sure he was crap against Atletico Madrid, he wasn't the only one! But they only want him to be sold? They say Pep Guardiola took the brave decision of selling Ronaldinho and current Barca management should take similar decision with the Argentinian captain. They easily forget that two weeks ago they were all sitting back enjoying the Clasico victory which was fashioned by the star player almost alone. I do agree that Iniesta was brilliant in that match but let's take the big moments - first goal created by Messi, Second goal created by his sheer will and scored too, third created by a brilliant Messi through ball and scored the penalty. But still they wanted to sell him because he was crap against Atletico Madrid. He wasn't alone in that Iniesta was really poor but somehow all the blame is for Messi to shoulder. When Neymar was playing really poor no one asked him to be sold out. And they want to do that to a man who single handily has fashioned some of the greatest story this team has seen. 5 Reasons Why BaRça GoT Eliminated from 2013-14 UEFA Champions League? With FC Barcelona's elimination from the UEFA Champions League, it appears the World as we know has come to an end! Not really, nothing changes; life goes on so do football. We now need to focus fully on the Copa Del Rey final and the league where we could get a chance to extract revenge on Atletico Madrid. With this defeat Barca's attempt to appear in a seventh consecutive semi-final has come to an end. Seven consecutive semi-finals and two championship is no mean task, but many believe that this team still has so much to offer. That's the reason why the elimination at the hands of Atletico surprised many. But whoever have closely watched Simeone's Atletico, it never surprised. Many thought than an upset is possible especially with the second leg at the Vicente Calderon. Let’s look at the reasons why Barca failed or better put Atletico won the tie. Barca's hope for another Champions League Semi-Final appearance were thrashed by an excellent Atletico side who were as good as in defense as in offense. The 1-0 score line did not portray what happened in the game. Had Atletico had a bit more luck, they would have been 4-5 goals up by half time. After all, they struck the crossbar four times by the time the interval came. FC Barcelona were poor throughout. For the initial the term Barca defense only appeared on paper as it was nowhere to be seen on the pitch. To be honest the offensive side was also in a similar situation with Messi and Iniesta having one of their worst nights in recent memory. Questions will be asked about Martino's selection choice, especially the false-9 experiment with Cesc Fabregas simply was wasted as I have mentioned in the match preview. There wasn't much surprise in Barcelona line-up for this must win game. Alba,Mascherano, Bartra and Alves made the defense. Xavi, Busquets and Iniesta formed the midfield. cesc Fabregas was deployed in a false-9 role with Messi on the righ and Neymar on the left. Atletico meanwhile, had to leave out Diego Costa from the squad. Their line-up had Courtois, Juanfran, Godin, Miranda, Fillipe, Tiago, Gabi, Koke, Raul Garcia, Adrian and Villa. Amid all the breaking news and rumours and stories of conspiracy, it is easy for all of us to forget that there a decisive match to be played tomorrow which will decide FC Barcelona's fate in Europe this season. After that thrilling, not so favourable 1-1 draw at the Camp Nou; the stage is set for the 2nd edition of this epic battle, this time at the Vicente Calderon. In normal circumstances, in the build-up to such a big game nothing else would have dominated the news headlines. But then these are no ordinary times, these are times when the club's resolve is tested every day with a new issue at hand(some they themselves dig up). So this week it was all about the transfer ban that FIFA has imposed and the implication of it to Barca's chances next season. Now at least for 48 hours that discussion will adorn the back pages as there is battle to be won. When I say battle, I am not meaning it literally. Physically also this one will be one heck of a battle - with the atmosphere at the Vicente Calderon, the physical presence and style of the other team from Capital and more importantly the presence of Howard Webb, UEFA's pick for officiating the match. Going by Howard Webb's record, everyone is free to go for each other’s throat especially in the first half. Even if a player is murdered in the first Half, by Webb's rulebook it's not worthy of a booking; forget expulsion! In the moment of crisis one realise their true strengths! It looks like that's what happening at the moment at Barca. FC Barcelona is looking very much at the possibility of being kept out of the transfer market for a year or more. And what's the response from Barca's management to the FIFA's year long ban? A moral lecture about La Masia, its principles, its values and it's achievements. The problem is that when you are accused of violating a legal provision, lectures of morality are not going to do any good. It simply is an admission from the management that we are on a very sticky wicket and there may not be any help coming from any sides. That's why we keep hearing the talks of a secret conspiracy, a secret complainer, a black hand behind the curtains etc. The series of events which led to this could indicate a conspiracy behind the scene, but that does not give the management any face saving opportunity. Barca kept their pursuit of the league leaders Atletico Madrid by raking up a not so impressive victory against Real Betis at home. 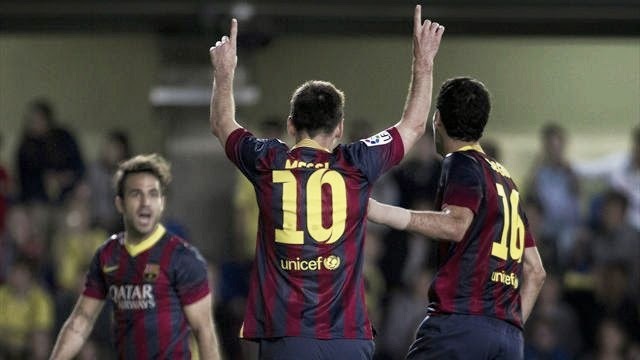 Two penalties from Lionel Messi and an own goal gave Barca 3-1 victory. The team was no where near its best but still the three points gained again was vital as Atletico Madrid won earlier. Real Betis played well for most of the part and would consider themselves pretty unlucky having to concede two soft penalties and an own goal. 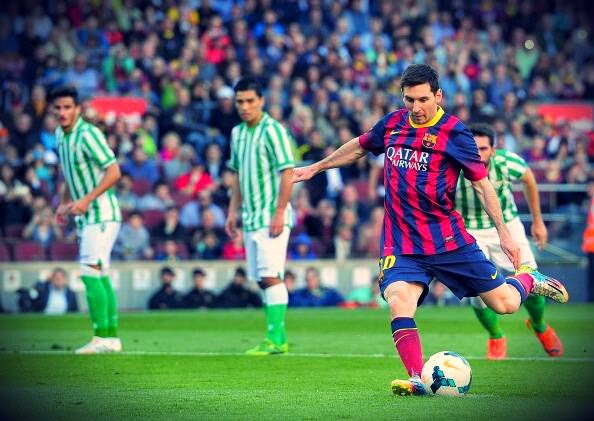 Martino went with a very strong side against the bottom placed Real Betis. Neymar, Alba and Cesc were omitted from the starting line-up ahead of Wednesday's 2nd leg match against Atletico Madrid. Pinto, Alves, Bartra, Mascherano, Adriano, Busquets, Xavi, Iniesta, Alexis, Messi and Pedro all started at the Camp Nou. FC Barcelona Banned from Transfer Market by FIFA! This news is bad, extremely bad. It is reported in FIFA's website that FC Barcelona has been banned from the transfer market for two consecutive transfer windows after they were found in breach of a number of regulations regarding international transfer of minor players. 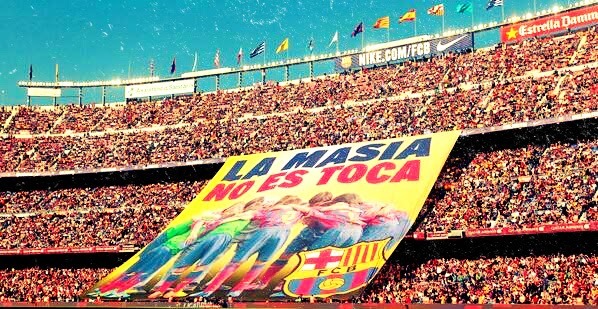 As per the report Barcelona would not be allowed to sell or buy players until the summer of 2015. Please visit FIFA site for more details - FC Barcelona Banned from Transfer Market. The Club's first response has been on the expected line with a promise to look into it and appeal the same. It was not only Barca who were sanctioned, but the Spanish Federation was also fined for alleged breach of regulations. It has to be seen whether Barca's defense of this issue would revolve around Spanish federation allowing the registration of players? Atletico Madrid holds a slight advantage going into the second leg after scoring a precious away goal in a 1-1 draw at the Camp Nou. FC Barcelona has to go for the kill at Vicente Calderon in eight days time. In a very tight match two brilliant piece of individual skill proved decisive. First was Diego's brilliant goal which opened the scoring in the night. Barcelona's equalizer came from a collective brilliance of first Iniesta who played a brilliant pass and then Neymar's whose finish showed his class; at least Martino can justify his selection of Neymar now. But the real change in Barca's tempo came after the introduction of Sanchez, and that is something for Matino to ponder over in the second leg. As I wrote in the preview, Martino went with an eleven I predicted. Cesc and Neymar found their way in to the starting eleven ahead of the in form Pedro and Sanchez. So we had more or less the same eleven apart from Pinto, which started against Real Madrid and Manchester City. 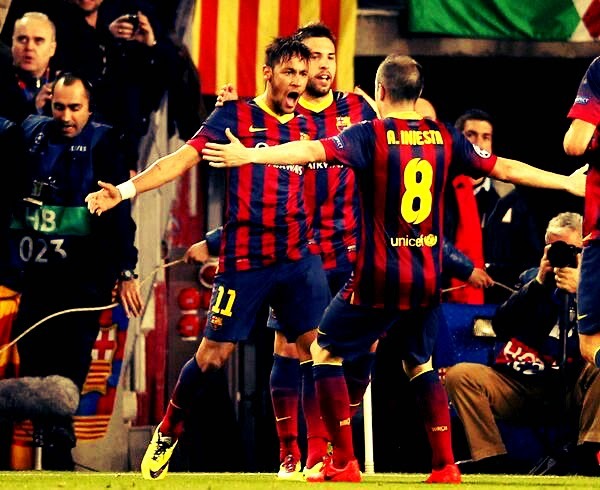 Neymar, Messi and Iniesta formed the front trio. Xavi, Busquets and Cesc made up the midfield. Alves, Pique, Mascherano and Alba formed the defense in front of Pinto. Putting rest to all the rumours about a late injury, Diego Costa started for Atletico Madrid along with Villa, Courtois, Juanfran, Godin, Miranda, Filipe Luis, Koke, Gabi, Tiago and Arda Turan.